Near-death experiences (NDEs) are common, well-documented, and similar across cultures throughout the world. Current estimates are that between 4 and 15 percent of the world's population have had an NDE. Some of the fascination with NDEs comes from the fact that they often result in great leaps in personal growth. These leaps are characterized by the loss of the fear of death, the healing of deep hurts, an increase in self-esteem and compassion for others, a sense of union with all things, and a clearer sense of how to fulfill one's purpose in life. 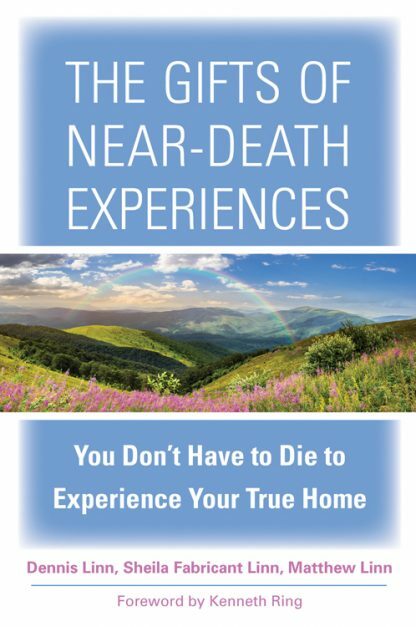 This is a book that teaches readers how to reap the benefits of NDEs without having to experience trauma. In the course of their many workshops around the world, the authors have discovered that when one immerses oneself in accounts of NDEs, one can experience love, hope, healing, and a sense of purpose. This is the only book that systematically encourages the reader to create a spiritual and psychological healing practice based on NDEs. Each chapter includes an account of a fascinating NDE, followed by a series of questions, meditations, exercises, and video links. The reader is encouraged to contemplate these stories and their own lives. It is truly a profound guide to both living and dying. Sheila Fabricant Linn, Dennis and Matthew Linn work together as a team, integrating physical, emotional, and spiritual wholeness. They have taught courses on processes for healing around the world. They are the authors of 23 books, including 2 books for children and those who care for them. These books have sold over a million copies in English and have been translated into more than 20 languages. Dennis and Sheila live in Colorado with their son, John. Matt lives in a Jesuit community in Minnesota. Kenneth Ring, PhD is Professor Emeritus of Psychology at the University of Connecticut and Co-Founder and Past President of the International Association for Near-Death Studies. Regarded by many as the "Dean of NDE Researchers," he is the Founding Editor of the Journal of Near-Death Studies and the author of several books including his best selling book Life At Death, Heading toward Omega, and The Omega Project. He lives in Kentfield, California.